Please read this important message to find out more. Anyone can report elder abuse. If you are concerned about an older adult (age 60 or older), and have reason to believe he/she is a victim of elder abuse, neglect, self-neglect or financial exploitation call the Massachusetts-based Elder Abuse Hotline at 1-800-922-2275. Every community in Massachusetts is covered by a local Protective Service Agency, such as OCES. All reports will be referred to and handled by the designated Protective Service Agency. The agency will determine if an investigation is warranted and if so investigate the situation and determine the best course of action to alleviate the risk. All calls are confidential. 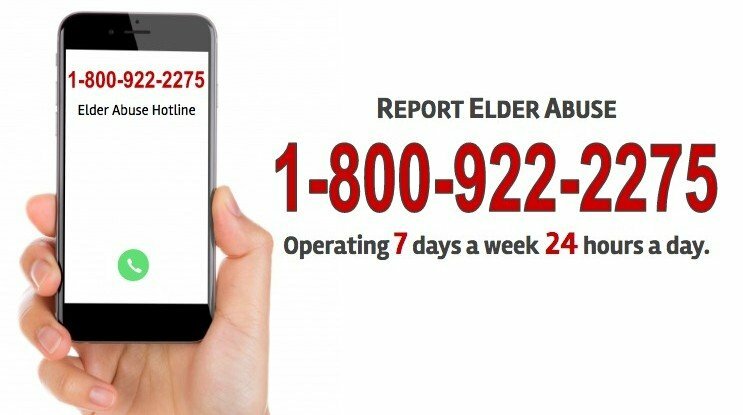 Individuals who are required by law to report elder abuse (Mandated Reporters): Please call the Elder Abuse Hotline at 1-800-922-2275 to report cases of abuse. Following the verbal report please submit the Mandated Reporter Form within 48 hours. The form should be faxed to the appropriate local protective service agency. Mandated reporters of elder abuse include: Physicians, physician assistants, nurses, medical interns, coroners, dentists, podiatrists, osteopaths, social workers, occupational, physical therapists, psychologists, family counselors, police, probation officers, EMTs, firefighters director of a home health aide agency, director of a homemaker agency, director of an assisted living residence, case managers, health aides, homemakers, director of a Council on Aging, Council on Aging outreach workers.